There are many errors that people tend to make when optimising a webpage. As we know, if a page does not abide by the criteria defined by Google, we will move back positions in the search results, which in turn will make the visibility of our site decrease. First of all, in case you have not done it yet, we recommend you to read the first article where we tell the most common SEO mistakes that will help you take into account some factors that tend to repeat in many cases. – No redirection with 301 when the URL changes. A very common mistake we can find in some content managers is that many URLs are linked to the title of the page, so if it changes, the URL will too. This means we have to different URLs (the old one and the new one). 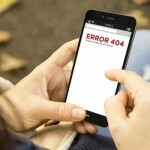 In the best case scenario, Google will display an error 404 for the old URL, in the worst case scenario it will have the same content as the new one, which we can fix with a redirection 301 from the old URL to the new one. The mirror domains are defined as pages that do the same thing as other pages that are under the same IP, duplicating in many cases the content and with a high risk of being penalised. It is not the first time that we find different pages that point to itself from different domains applying, for example, a product sheet which is exactly the same as in the main domain. Let’s suppose that we have a page hosting 6,000 URLs in a server and 4 domains where, when we sign up a product in our main domain, the same content generates automatically in the other domains within or without the IP. If we multiply the pages generated in the different domains with the same content, we have a lot of duplicate content that results in a very severe penalization. No index tag: This is the most drastic case we can apply for each and every domain that do not add any value, leaving Google to index only the main page and not the rest. This can be applied for domains that are considered irrelevant. The other option requires more work but is more effective as the rest of pages remain visible and indexed. We can apply the tag canonical in each and every page that direct to the corresponding product sheet. This tag must apply to all the pages linking always to the corresponding page. – Alternate in the desktop version and canonical in the mobile version. We must not forget the value that Google gives to the pages with a mobile version. Two months ago the company announced that from April, 21st 2015 the pages that do not adapt to mobile devices will disappear from the top positions, although we do not know yet how this update of algorithm will affect, so we have to be ready. Therefore, the recommendation suggested is to use the same HTML code for all the devices making it responsive. For the desktop version we have to insert the tag link rel=”alternate” to tell the robot that there is an alternative to our desktop version.